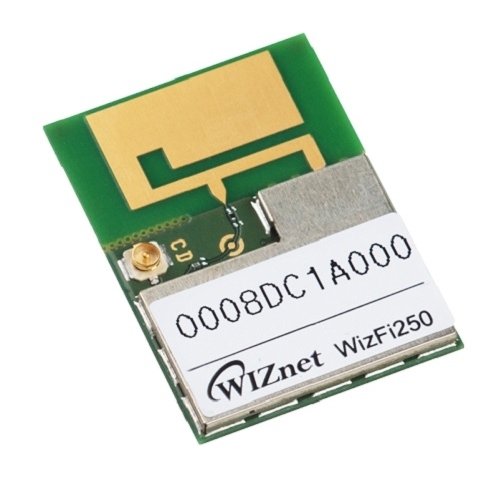 WizFi250 | WIZnet Co., Ltd.
WizFi250 is a small size WiFi module featuring 802.11b/g and 802.11n. 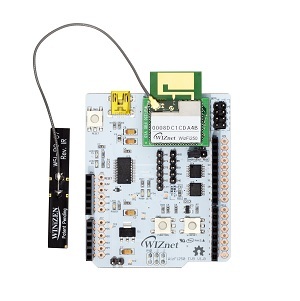 It includes a 2.4 GHz WLAN CMOS power amplifier (PA) that meets the output power requirements of most handheld systems. 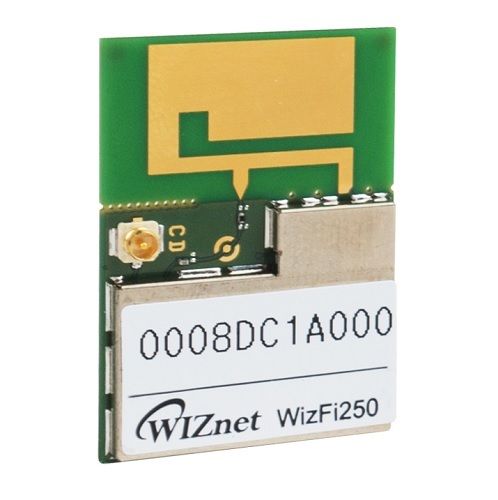 Along with the integrated power amplifier, the WizFi250 also includes integrated transmit and receive antenna further reducing the overall solution cost. 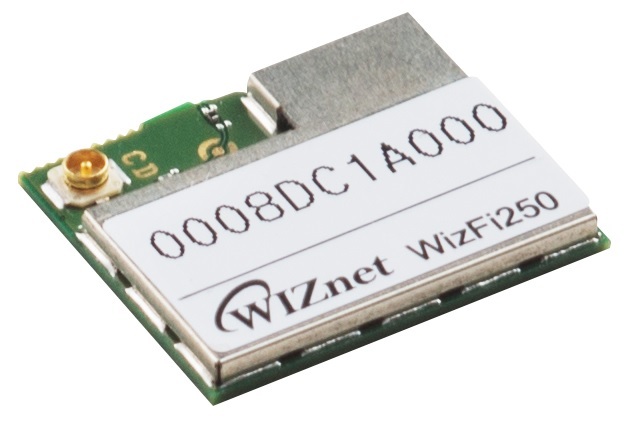 The small size and low profile physical design eases enabling high performance wireless connectivity without space constraint in system designs. 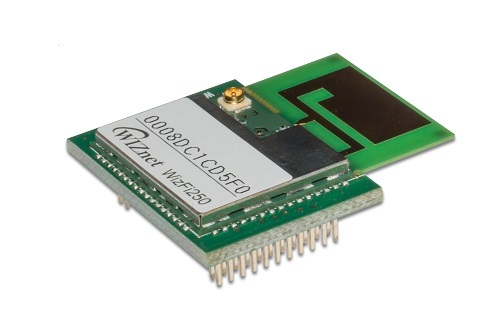 Hardware WAPI acceleration engine, AES, TKIP, WPA and WPA2 are supported to provide your network with the latest security requirements.